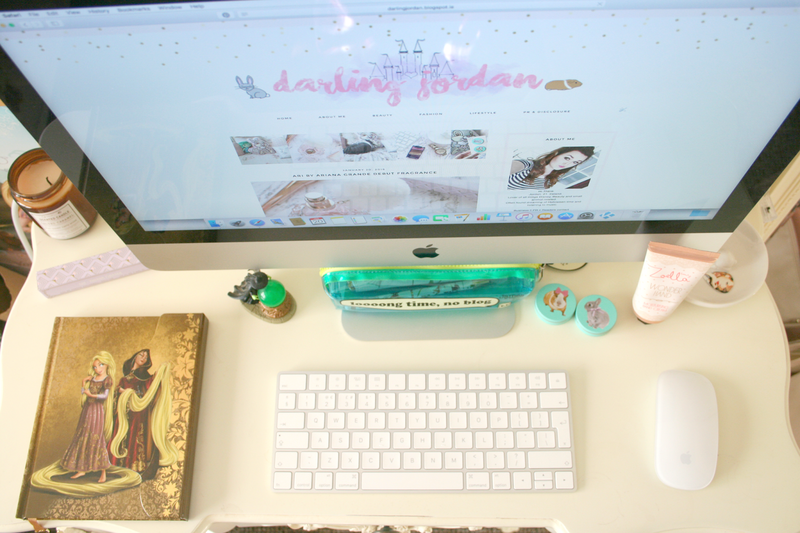 Darling Jordan is a personal blog both written and edited by myself. If you are a Business/PR company and wish to get in contact with me please feel free to drop me an email at jordan.keepdreaming@hotmail.com Items you see here on Darling Jordan have been bought by myself. If a product has been sent to me to trial and review it will be marked with an asterisk (*). I always give my honest opinion on each product no matter how much I may like the brand. I will never give a product a false review. Products received to be reviewed can take up to a month to appear on Darling Jordan as I tend to have posts planned in advance. This can mean that if you send a product to me it may not feature until the following month unless it has been discussed and a date has been agreed upon. All pictures here on Darling Jordan are personal property of Darling Jordan unless otherwise stated. If you do wish to use them please drop me an email at jordan.keepdreaming@hotmail.com asking first. If I agree with it please make sure that full credit is given and the picture is linked back to Darling Jordan. Darling Jordan may contain affiliate links from time to time, this means that if you click on a link I will receive a very small amount of commission from this. If you have any questions or wish to contact me on social network please feel free to find my Twitter here or Instagram here.